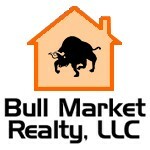 Bull Market Realty, LLC and Scott Bahr, Broker are licensed in Minnesota and Iowa. Check out these properties for sale. $179,900 - Four bedroom three bathroom Twin home with large rooms and storage space. $69,900 - Three bedroom home on a large lot close to a park and downtown. We look forward to serving your Real Estate needs!! Being new in the business will be a plus for you as I will do anything to sell your home or anything to help you buy a new home!